Rapid Set is a brand of fast setting cement products well known for its versatility and high performance. It gains structural strength in one hour, has superior durability, and low shrinkage. 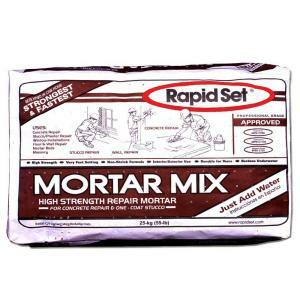 Rapid Set® offers a full line of premium products for concrete repairs and new construction projects and Arroyo Building Materials carries them all. KSC Type-K Cement, Komponent® additive, and System-K™ rebar-free are shrinkage- compensating products. 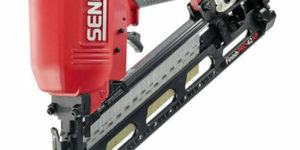 These cements give construction professionals the ability to install industrial-size floors and other concrete structures with no curling, no cracking, and no control joints. The advanced Rapid Set® technology was developed in 1960. 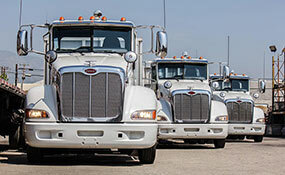 The full line of CTS Cement products has been available nationwide since 1981. Rapid Set® is the choice of owners, architects, engineers, and contractors when selecting high-performance cement products. Q: How fast does Rapid Set® gain strength? A: Rapid Set® Cement gains strength much faster than portland cement. In most cases, material made using Rapid Set® Cement can be put into service in as little as one hour. Rapid Set® Cement mixes will obtain strengths in one day, that an equivalent portland cement mix will take 1 month to achieve. Q: What makes it fast? A: It’s in the chemistry. When Rapid Set® combines with water (hydrates), it forms crystalline compounds that are unique to Rapid Set®. These compounds form faster than the compounds in portland cement. A: Yes! 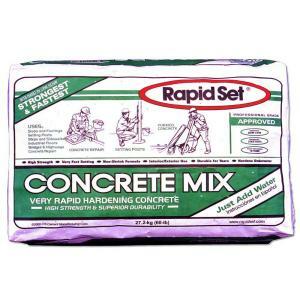 Rapid Set® Cement shrinks less and is more resistant to harsh chemical environments than portland cement. Shrinkage, attack from sulfates, and alkali reactions play a major role in concrete durability. Rapid Set® Cement outperforms the competition in all three areas. Q: How do I buy Rapid Set® Cement? What size packaging? A: Rapid Set® Cement is available in a variety of forms: Blended and prepackaged into our line of quality, high-performance concrete repair materials know as Rapid Set® products. Packaged as straight cement in 50 lb. bags, 88 lb. bags, and 2000 lb. bags. In bulk form delivered by tank truck or rail car. Q: Where do I buy Rapid Set® Cement? A: Rapid Set® Cement and blended products are distributed throughout North America. Contact CTS or your local building supply outlet for availability of Rapid Set® products. Q: How do you mix it? A: Rapid Set® Cement is mixed using equipment and methods common to the concrete industry. Consideration should be made for the speed of Rapid Set®. It is recommended that power- driven mechanical mixers be used to maximize the working time after mixing. 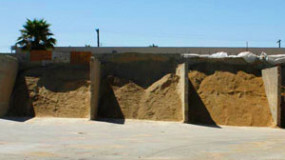 Additives are available to allow for the extended mixing and transport times of high-volume applications. Q: How do I increase the working time? A: The working time of Rapid Set® Cement is easily modified through the use of chemical additives or by lowering the mix temperature. Q: Is it the same color as regular concrete? A: Rapid Set® is similar in color to portland cement. The color of portland cement varies but Rapid Set® is generally lighter and more tan in color. Q: Can I change the color? A: Yes. The color of Rapid Set® Cement can be easily changed using dry powder pigments designed for use in cement mixes. 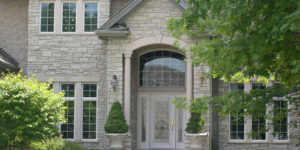 Due to the lighter color of Rapid Set®, the resulting colors are often more vibrant. Q: Is this a gypsum cement? A: Rapid Set® Cement is not a gypsum cement. Unlike gypsum, Rapid Set® Cement can be used in wet environments. Q: Is this a modified portland cement? A: Rapid Set® Cement is not a portland cement. 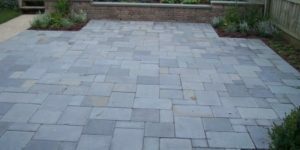 It is made using similar materials and manufacturing processes but the end result is a cement of different chemistry that offers higher performance and increased durability. 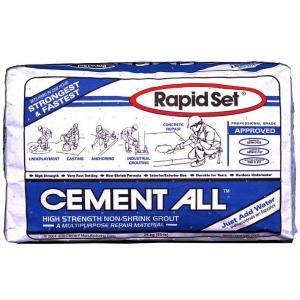 Rapid Set® is not an accelerated cement. 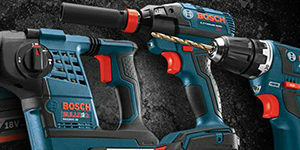 It comes out of the manufacturing process with built-in performance. Q: Can I blend Rapid Set® Cement with other cements? A: Rapid Set® Cement is a high-quality cement that is manufactured in a tightly controlled process. CTS is not in control of the manufacturing process for other cements and therefore doesn’t know the quality or contents of those cements. Blending Rapid Set® with other cements is not recommended.